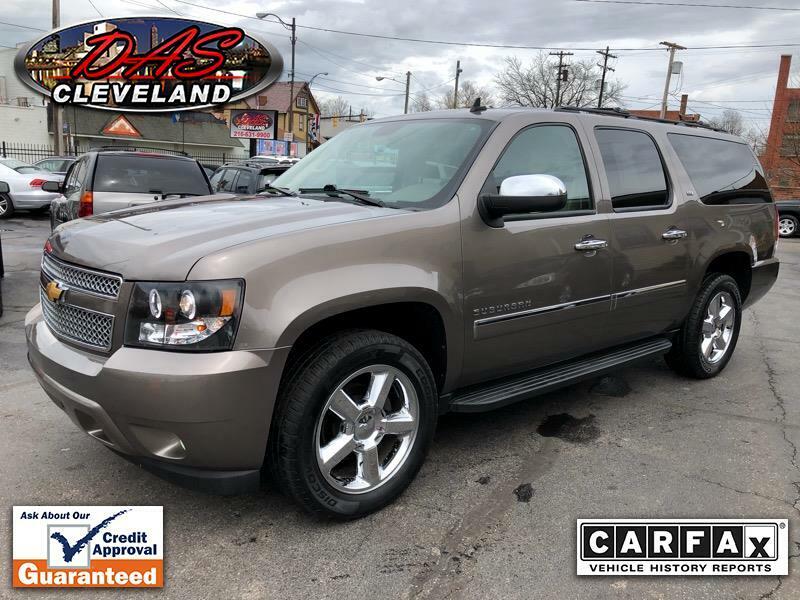 2 Owner** Perfect Carfax** Loaded Suburban LTZ - Premium Pak & Luxury Pak** EVERY OPTION** Navigation** Back Up Cam** Bose**Factory Dual DVD's**Sunroof**Heated/Cooled Power Memory Seats**Heated Leather Wrapped Steering Wheel** 2nd Row Heated Buckets Seating** Folding 3rd Row** Power Rear Gate** Trailer Tow Pak** Power Adjustable Pedals** Aux Line IN** Xm Radio** 20' Chrome Wheels with Like New Tires** FRESH SERVICE!! EXTRA CLEAN!! SOLID & STRAIGHT!! Service Contract is included @ internet price...See live walk around video!